Ren Kouha, the eccentric prince from the anime show Magi, carries this awesome and powerful sword. The blade for this replica is excellent quality 440 stainless steel, with a blackened surface finish. 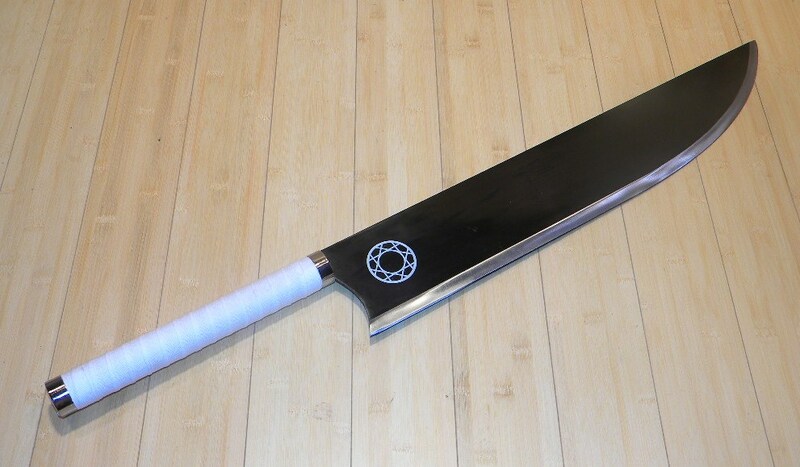 It is also sharp and despite being a replica for display, this sword is quite capable of cutting. On both sides of the blade resides the sigil or symbol unique to this anime. 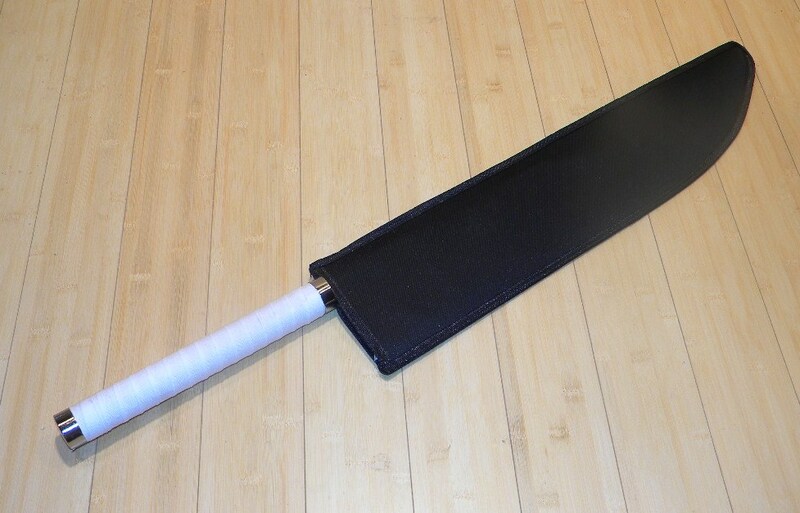 The handle is wrapped in white nylon with a half tang underneath. 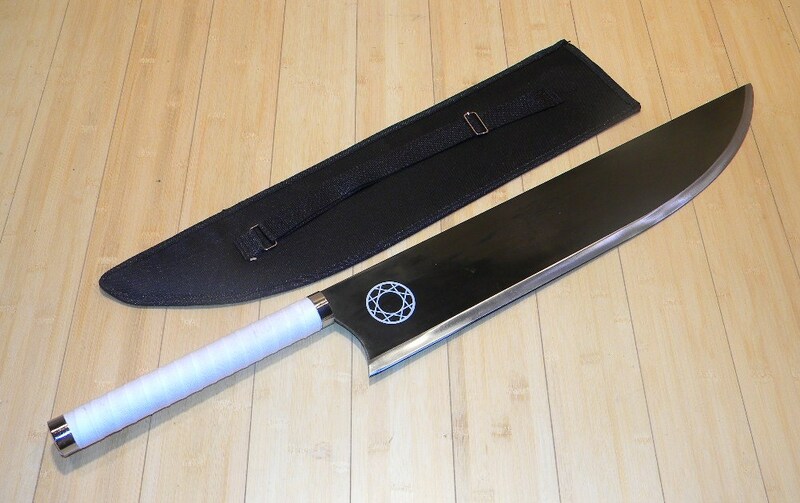 Comes with a free black nylon carry sheath with included adjustable back strap.